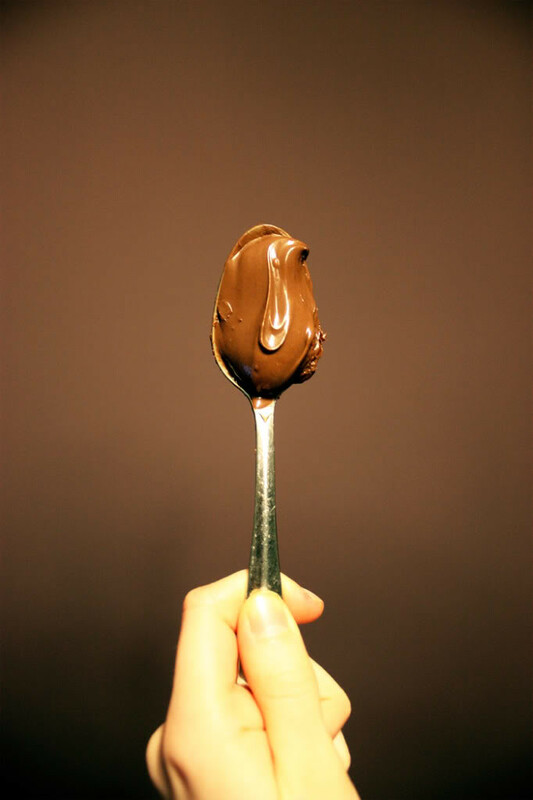 I don't know about you, but this is the only way I eat Nutella. And the only way I eat Nutella is in large quantities. Edit: I also completely forgot to mention this but I dressed up as Nutella for Halloween 2008! I wore brown leggings and this cute Nutella shirt I made. I had a Nutella necklace, hair clip, a giant aluminum spoon and a Nutella lid hat! Oh and I was blonde. Oh my goodness... that looks so delicious. I haven't had Nutella in years! Hmmm...your photo makes that look sooo good. Makes me want to try nutella. Yes, I don't think I've ever had it before. Looks yum though. ""But I'm so small, I can barely be seen, how can this great love be inside of me?" But look at my eyes, they're small in size but they see ENORMOUS things." I envy your spoon Dori. For all you who haven't tried Nutella, or haven't eaten it in a while, I don't know what else you could have possibly been surviving off. Paige, I've never seen that quote before and it's one of the best I've ever heard! Thanks so much for posting it, I'm definitely saving that and sharing it too. ♥ I feel good. Oh that's awesome to hear, one of my favorites too. Glad you liked it. That looks so yummy!! I love Nutella. You know i've never tried Nutella. Cute halloween costume though. hi! i just gave you a really cool blog award. Why pollute a perfect food? Bon Appetite.